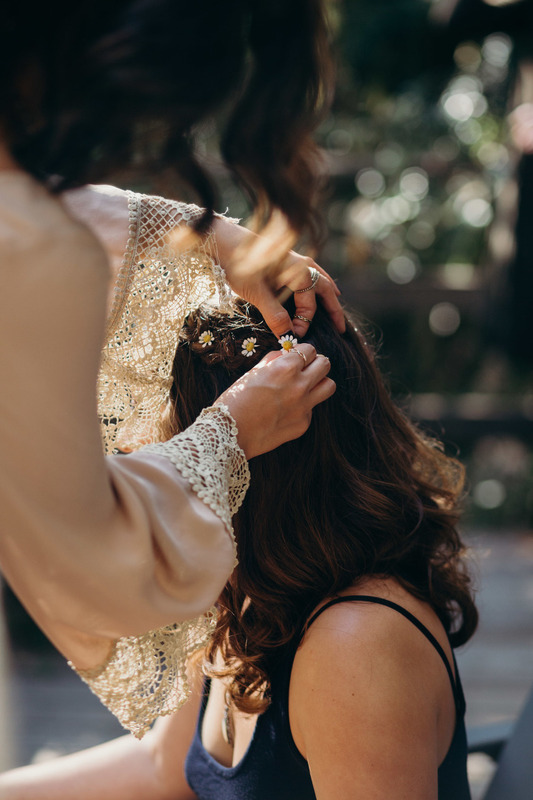 Bridesmaids were carefully arranging tiny wildflowers in Candace’s hair on the patio when I arrived. “Derek is waiting in a spot we picked out in the forest,” she told me. She slipped on her gorgeous vintage bohemian wedding dress and the two of us were off. We left the cabin on foot and followed a trail down to the river. “I think this is the way,” she said as we weaved through huge redwood trees. I smiled so big, loving that we were hiking to find her Beloved somewhere in the forest. 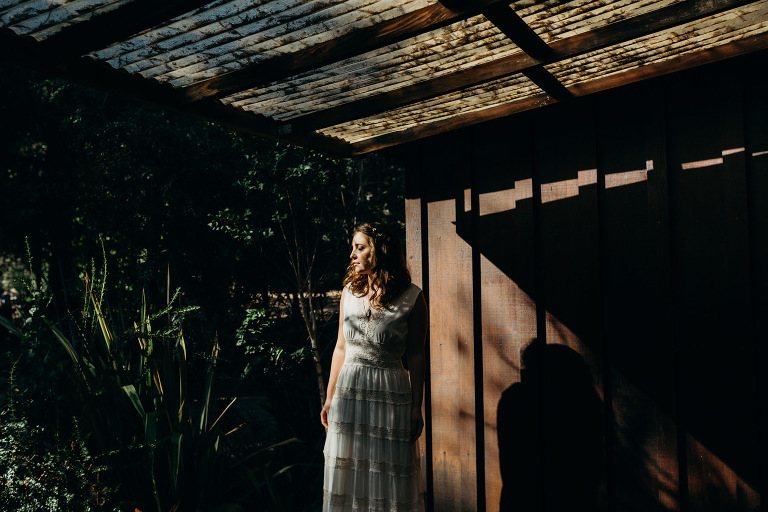 Candace and Derek had a beautiful bohemian destination wedding in one of the most gorgeous places in California: Big Sur. We were surrounded by sweeping coastal vistas, breathtaking redwoods and the incredible fresh air smell of the coastal mountains. A small group of the couple’s closest friends and family gathered at Loma Vista Gardens and Big Sur Bakery for their intimate wedding. 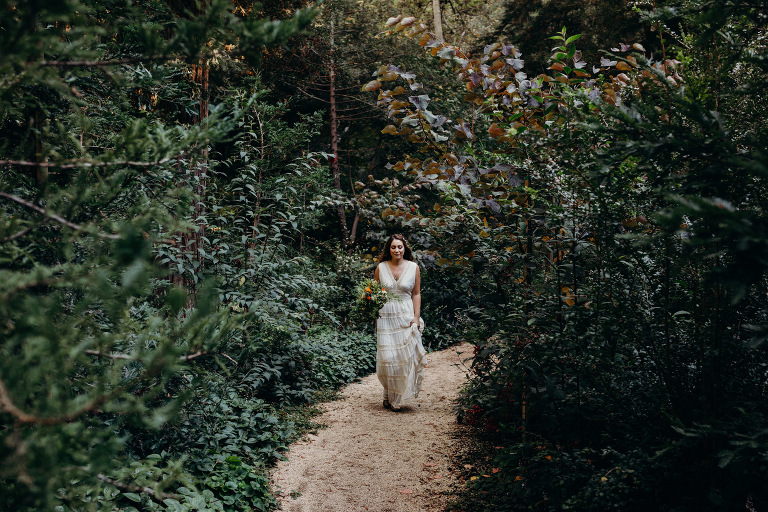 An October wedding in Big Sur is just about the most perfect thing I can imagine. I love intimate, simple weddings because the bride and groom always get to spend so much more quality time with their guests and it is SO much less stressful for them! Surrounded by unbelievable natural beauty and a small group of good people, you can really feel the joy, gratitude and melting hearts at these intimate destination weddings. This is also where I shine as a photographer because I can focus more on the emotion and sweet little moments that unfold. 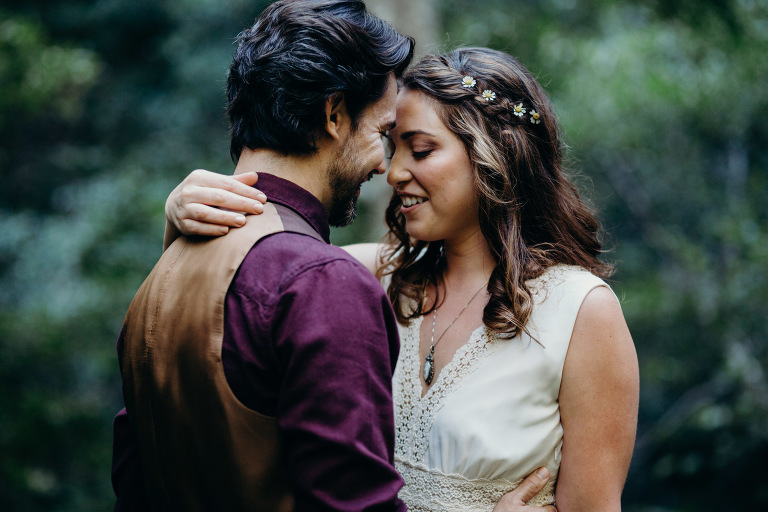 I felt so honored to document this freespirited wedding. Dear Universe: Please bring me more adventurous couples like these two! I seriously love Big Sur Bakery and Loma Vista Gardens. In case you are confused, the two places are attached to each other and used to be the same property. As you can see, Loma Vista Gardens has the most incredible wood work and branch art! The wedding altar is insane! I highly recommend Selena and her team for partial or full service wedding planning in Big Sur!